For this hop we will be featuring the letter "B". This may be the name of a paper, a stamp set or an embellishment. 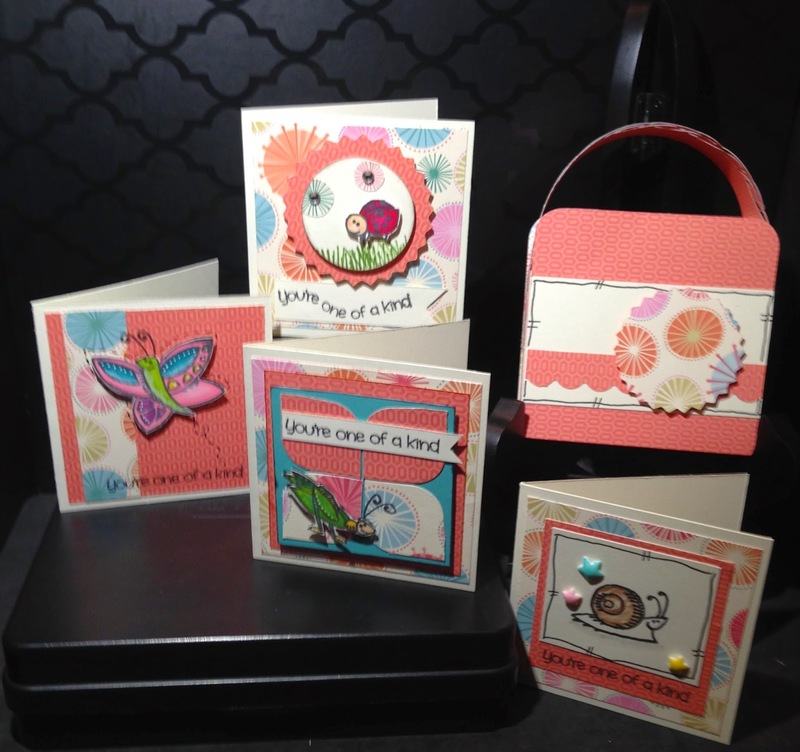 Whatever the crafter has chosen as their "B" element will be featured in their post. If you came from "Diana Saunders - Farmer Di Stamps" then you're on the right track! 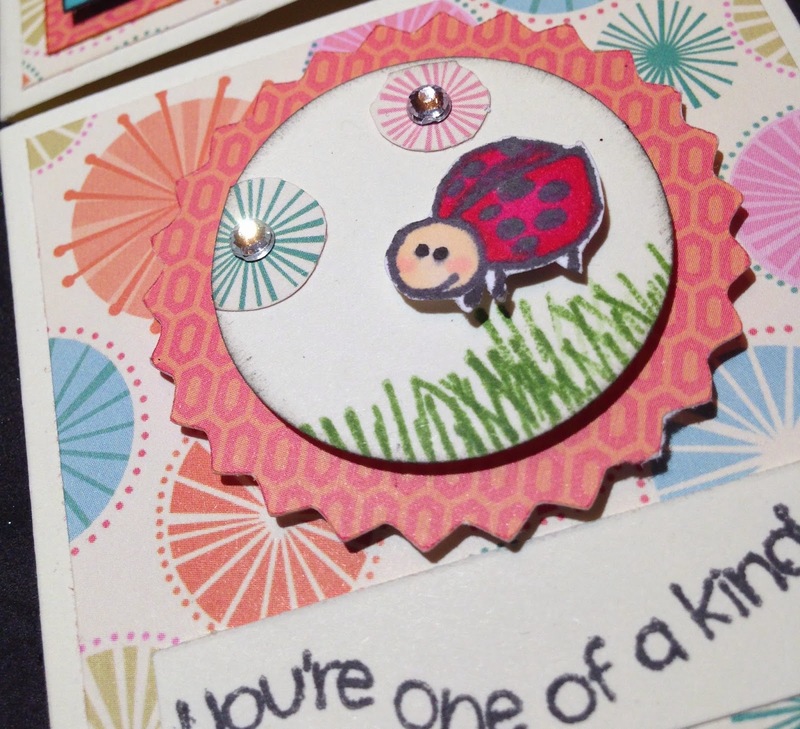 The letter "B" represents "Buggy Love" which is the super duper cute stamp set I used to create these 3x3 cards. If you are loving Buggy Love as much as I am get it now! It is retiring as of January 31st!! 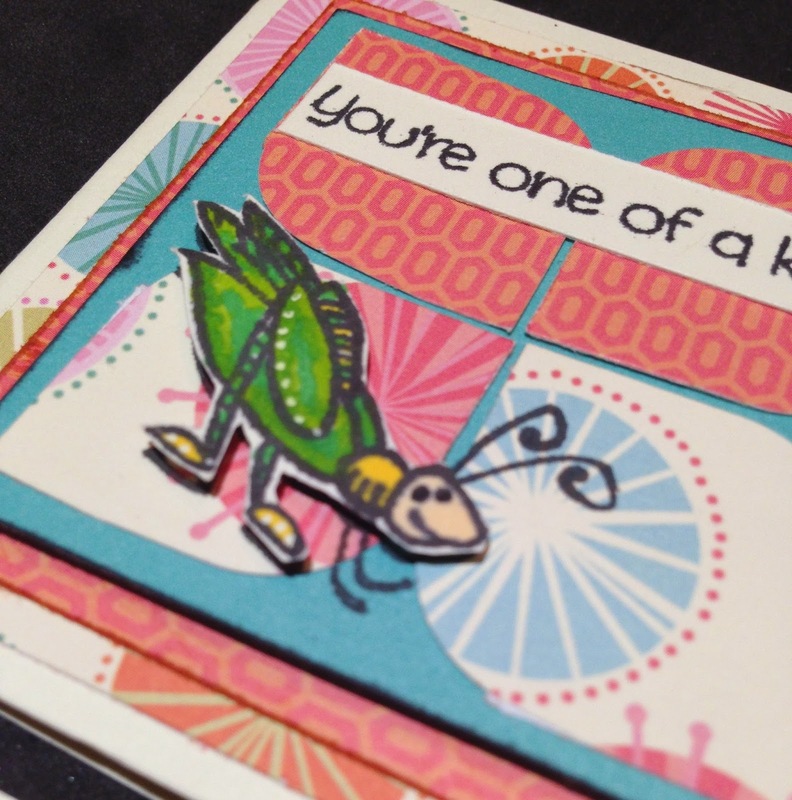 To make these cards I used Colonial White card stock for the base. 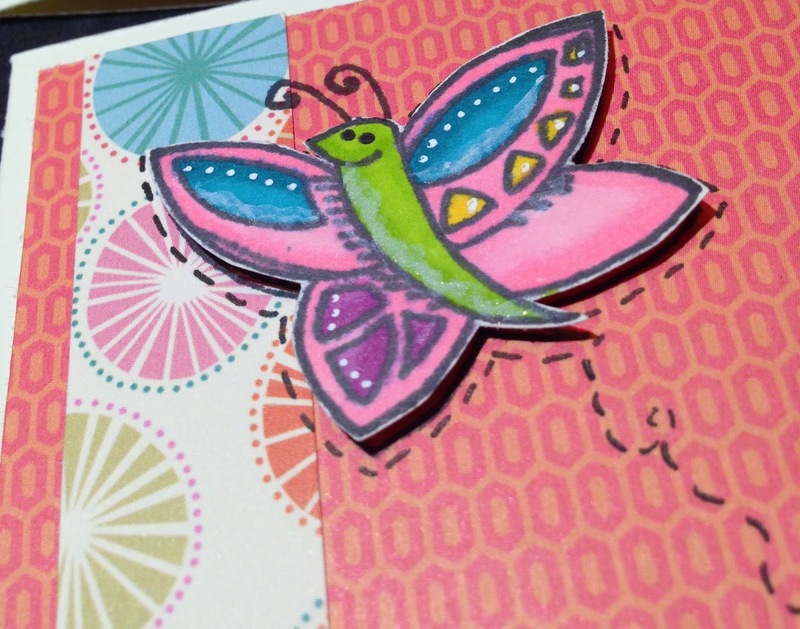 The patterned paper is the bright and colorful Hopscotch!! Aren't the images the cutest!! Sure to brighten anyones day!! The coloring was done with the ShinHan Touch Twin markers. The images were stamped in black ink and I had fun doodling with my journaling pen. I stamped the grass in Topiary ink. 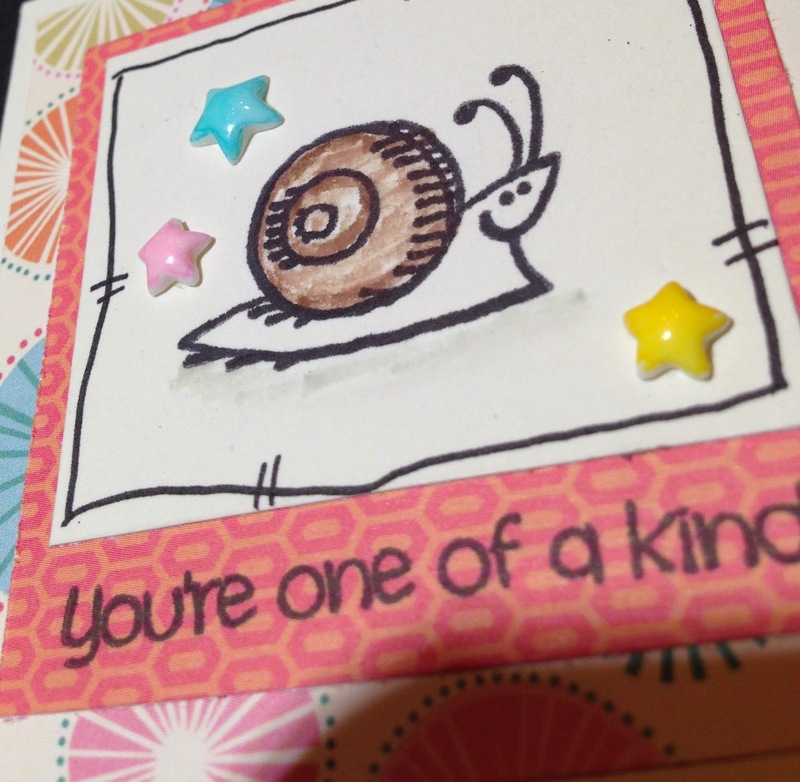 I placed bitty sparkles in the center of the patterned paper to give it some flair. 3-D foam tape was added to give it some dimension. How cute is this little guy!! I fussy cut a lot of the images using my micro tip scissors. I adore the enamel stars!! Did you know they were white?! I colored them with the ShinHan Touch Twin markers! Make them whatever color you like!! 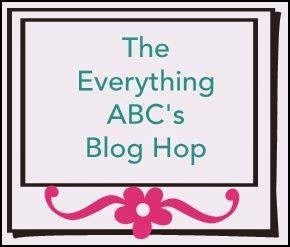 Your next stop on our Everything ABC'S blog Hop is "Darlys Recker - Crafty Happy". Oh my goodness ~ How stinking cute are these! Super cute!! I love it with the Hopscotch. I love these cards they are so buggy! Love it with Hopscotch! Yes, buggy they are :-p Thank you Linda! 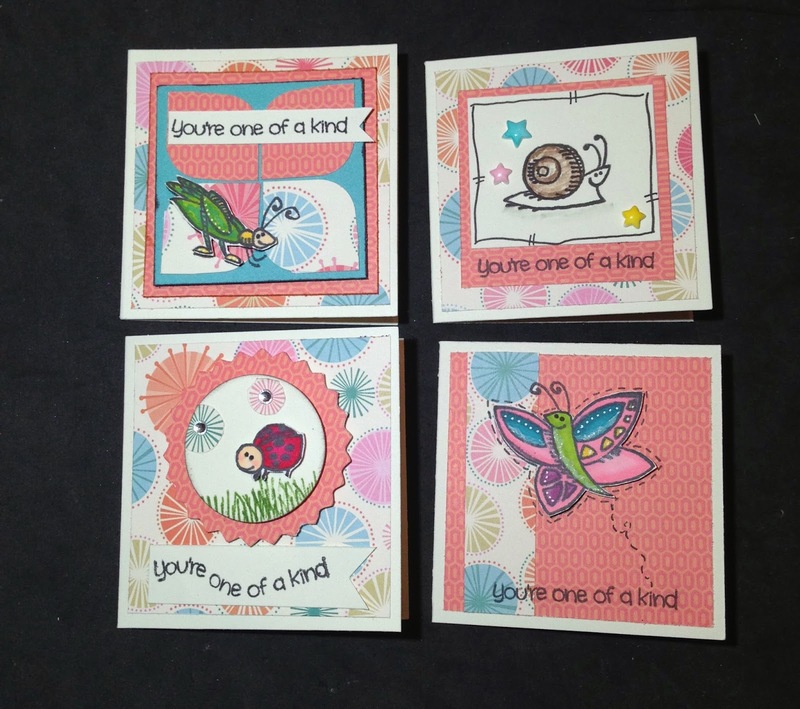 These are so cute- what a fun set of cards! Cute stamp set! And the colors and patterns of the paper are so whimsical! Love it! Oh Shalana, these are soo cute!! Love your buggy's! I didn't think I wanted to get that stamp set but now I'm really liking it and may have to get it before it's gone! Love your doodling also!